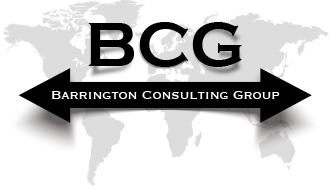 Barrington Consulting Group is strategic consulting firm specializing in international trade, business development and representation. BCG is a management consulting firm with a focus on effective and pragmatic use of technology for business and with in-depth functional and industry expertise. 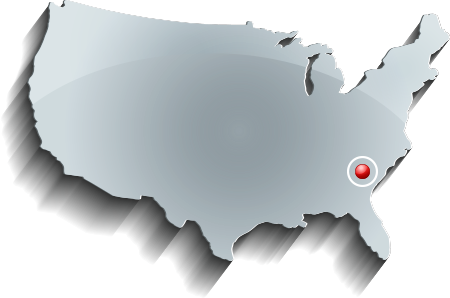 BCG represents products, services, individuals and partnership opportunities in U.S. & International markets. BCG develops relationships, manages facilities projects and coordinates transactions between US, EU and Middle-Eastern markets. Sorbent Green is focused on developing, manufacturing & distributing biobased products that work exceedingly better for industrial-commercial applications, while imposing significant environmental benefits. Our products are used in Aerospace, Chemical, Commercial, Health, Industrial, Oil & Gas, and Government market sectors. Greensorb is a biobased material that is highly effective on a variety of chemicals, fuels, oils, foods, medical fluids, and other liquid spills in commercial or industrial facilities. It works quickly and efficiently, which creates less downstream waste into landfills… all at a lower-cost-per-use than competing products. As a key portfolio product of Sorbent Green, the customer opportunity is large, multi-segment and demand is growing. Worldwide demand for biomass is increasing at an exponential rate. 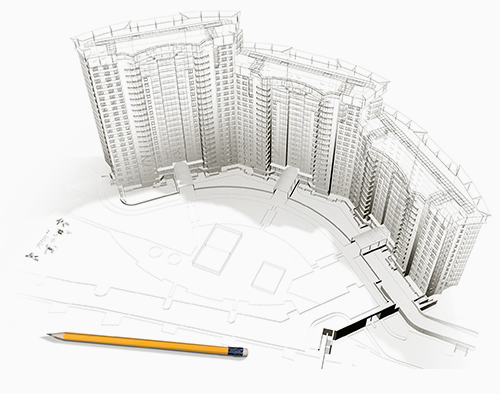 We consult and collaborate with prospective owners, investment groups, and governments. Our team approach allows us to work together to design and build biomass manufacturing facilities that are fully-automated and highly-efficient. In many cases, we are able to represent either suppliers or customers to establish off-take agreements that solidifies the final step of project funding. Marketplace Art collaborates with design professionals to create framed artwork and they offer design assistance to provide partial or complete art selection for their clients. Their custome framing includes art, glass, moulding and matting which come together as beautiful, well-constructed art pieces at their in-house production facility. They source from a large portfolio of diverse art publishers. Novus Office is a completely new and comprehensive suite of software. It is perhaps the best alternative set of applications on the market. In creating this suite we wanted to provide a full compliment of software that users would normally have to purchase from multiple sources, and bundle them at a fraction of the cost. Novus Office is available in English and Spanish. We reserve the right, in our sole discretion, to modify, update, or otherwise change this Agreement at any time. By using this Site after such changes are posted, you agree to be bound by the changes. All content included on or in this Site, such as text, photos, logos, video, graphics, sound, computer code, and the arrangement and selection of such content, is protected by copyrights, trademarks, and/or other intellectual property rights of the Company and/or its third-party content providers. You may use material from this Site only for your own personal, non-commercial use. Neither this Site nor any portion of this Site may be republished, reproduced, duplicated, copied, uploaded, downloaded, posted, transmitted, modified, sold, or otherwise exploited for any purpose that is not expressly permitted by the Company or under copyright law. In the event of any permitted copying, redistribution, or publication of copyrighted material, no changes in or deletion of trademarks, author attribution or copyright notices may be made. You acknowledge that you do not acquire any ownership rights by downloading material from this Site. If you believe in good faith that your copyrighted work has been reproduced on this Site without authorization in a way that constitutes copyright infringement, you may notify BCG by postal mail or email at the following address: BCG, Inc., 491 Burkelo Rd, Wagener, SC 29164, email: info@bcgww.com. This contact information is only for suspected copyright infringement. Contact information for other matters is provided elsewhere on this Site. Warranty: You warrant and guarantee that you own all intellectual property, proprietary, privacy, publicity, moral (droit moral) and other rights to any content that you submit. You warrant and guarantee that are at least eighteen (18) years of age and are legally authorized to use this Site and any and all materials that you submit and/or upload to the Site. You warrant and guarantee that your use of the Site and any and all materials that you upload to the Site does not, in any way, infringe upon or violate and right of any third party and that you have all the necessary permissions to use this Site and to upload any and all material that you actually upload. Monitoring of Content / Removal: You agree that the Company has no responsibility to monitor, review, edit, remove or control any content or other information that you or others submit to us and/or the Site. You further agree that the Company may, in its sole discretion, modify, remove or refuse to accept any content for any reason. We may also decline to modify or remove content that you submitted, despite your request. In addition, please be aware that we may not be able to modify or remove certain content, including without limitation content that has been distributed to or relied on by third parties. No Endorsement / Recommendation: The Company does not endorse, recommend, or take any responsibility for any content submitted to this Site by any advertiser, service provider, vendor, or other third-party, even if the Company displays such content. The Company may at any time, for any reason, prohibit your further use in whole or in part of this Site. We may also take any action that we deem necessary to enforce this Agreement, and to protect against unlawful or improper use of this Site. You hereby expressly agree to waive any and all claims you may have (whether currently in existence and/or arising hereafter) against the Company for any failure by us to enforce this Agreement, whether against you or a third party. The Company grants you permission to link to this Site (without framing it), but may revoke this permission at any time for any reason. WITHOUT LIMITING THE FOREGOING, THE COMPANY MAKES NO AND DISCLAIMS ANY REPRESENTATION OR WARRANTY OF ANY KIND, EXPRESS OR IMPLIED: (i) AS TO THE OPERATION OF THIS SITE, AND/OR THE INFORMATION, CONTENT, MATERIALS, SERVICES OR PRODUCTS INCLUDED ON OR AVAILABLE THROUGH THE SITE; (ii) THAT THE SITE WILL BE UNINTERRUPTED OR ERROR FREE; (iii) AS TO THE ACCURACY, RELIABILITY, OR CURRENCY OF ANY INFORMATION, CONTENT, SERVICE, OR MERCHANDISE PROVIDED ON OR THROUGH THIS SITE; (iv) THAT THE CONTENT OF THIS SITE DOES NOT INFRINGE ON THE RIGHTS OF YOU OR THIRD PARTIES; AND/OR (v) THAT THE SITE, ITS SERVERS, OR E-MAIL SENT FROM OR ON BEHALF OF THE COMPANY ARE FREE OF VIRUSES OR OTHER HARMFUL COMPONENTS. THE COMPANY DOES NOT GUARANTEE THE CONTINUOUS, UNINTERRUPTED OR SECURE ACCESS TO THIS WEBSITE OR ANY RELATED SERVICES. THE OPERATION OF THIS SITE MAY BE INTERFERED WITH BY NUMEROUS FACTORS OUTSIDE THE CONTROL OF THE COMPANY. You agree that the laws of the State of Illinois will govern this Agreement and your use of this Site. The state and federal courts of Chicago, Illinois, shall have exclusive jurisdiction over any litigation that may arise out of, or be related to, this Agreement and/or your use of the Site. You agree to waive any objection based on forum non conveniens or any objection to venue in Chicago, Illinois, of any such action. Personally identifiable information. In using this website, you may provide us with your personally identifiable information (such as your name, address, telephone number, email address, etc.) in order to receive the benefit of our goods and/or services. Without this information, we would not be able to provide the goods and/or services, respond to your communications or otherwise respond to your inquiries, entries and requests.Several features of the Site, such as classified ads and blogs, may be operated by third parties. These third parties may also obtain personally identifiable information from you in order to use their services. Please check their privacy policies for information about their privacy practices. In some cases these third parties may provide your personally identifiable information to the Company. Non-personal information. Non-personal information, such as which pages on the Site are accessed, what information is downloaded, what type of browser and operating system are being used, which Internet service provider is being used, and other information of this general type may be collected about visitors to the Site. This information does not allow us to personally identify the Site visitor. By collecting this information we learn how best to develop our website to meet the needs and desires of our visitors. Personally identifiable information. If you provide us with personally identified information (which is required in order to make certain submissions), then we may use your personally identifiable information to maintain your account, to fulfill your requests, such as an order, and to correspond with you. We may also provide your personally identifiable information to advertisers or others. If you enter one of our contests, then we may use your personally identifiable information for purposes of the contest (such as to notify you if you win) and/or in accordance with the contest rules. We may also provide your personally identifiable information to the sponsor(s) of the contest, publish information concerning the winner of the contest, and/or for any other lawful purposes. If you email us, submit a letter to us, or ask to be placed on a mailing list that we maintain, then we may contact you and send information to you. If you register to purchase merchandise or services through this website, then we may use your personally identifiable information to maintain your account and/or process your order. If we receive your personally identifiable information from a third party service provider, then we may use the information to contact you and to assist in performing the service for which you have registered with the third party. In addition to the uses listed above, we may use your personally identifiable information to improve our marketing and promotional efforts, as part of a statistical website usage analysis, and/or to improve the features and content of this website. We may also use your personally identifiable information to assist in delivery of content that is customized to your interests. We do not collect personally identifiable information on an automatic basis, but we may combine non-personal information (which may be automatically collected) with your previously submitted personally identifiable information. We may also use your personally identifiable information as set forth elsewhere in this Privacy Statement. Non-personal information. We may use your non-personal information to improve our marketing and promotional efforts, as part of a statistical website usage analysis, to improve the features and content of this website, and/or for other purposes to assist our business. We may share such information with advertisers and other third parties, typically in the aggregate. We may also use your non-personal information as set forth elsewhere in this Privacy Statement. Other third parties. During the course of its business, the Company uses third party service providers, such as lawyers and accountants, to perform a variety of functions. In some instances, the Company may need to provide personal and/or non-personal information about you to such third parties. However, all third party service providers which are not linked from the Site are prohibited from using your personally identifiable information for any purpose other than for which they were selected to work with the Company.